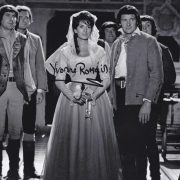 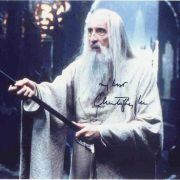 View cart “Lee , Christopher : signed autograph – 8″ x 10″ color still as DRACULA , HAMMER (0428)” has been added to your cart. 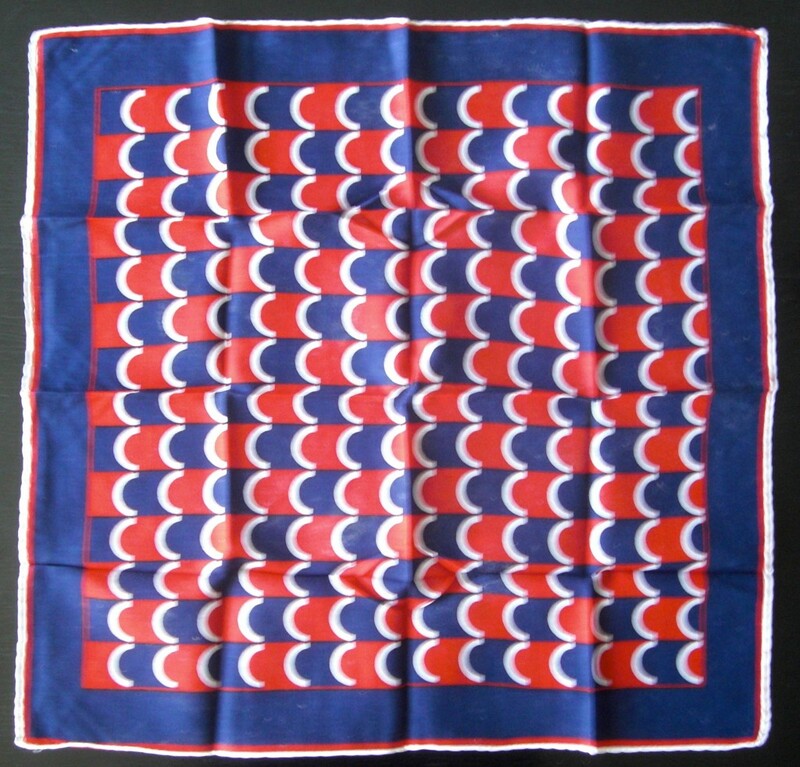 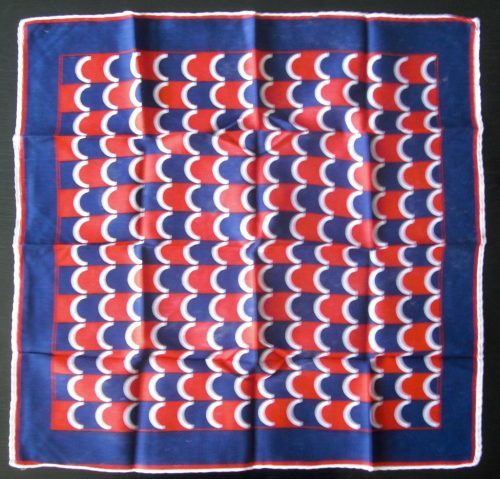 This silk handkerchief was bought from the Canterbury Auction Galleries, on July 30, 1996 (lot 81). 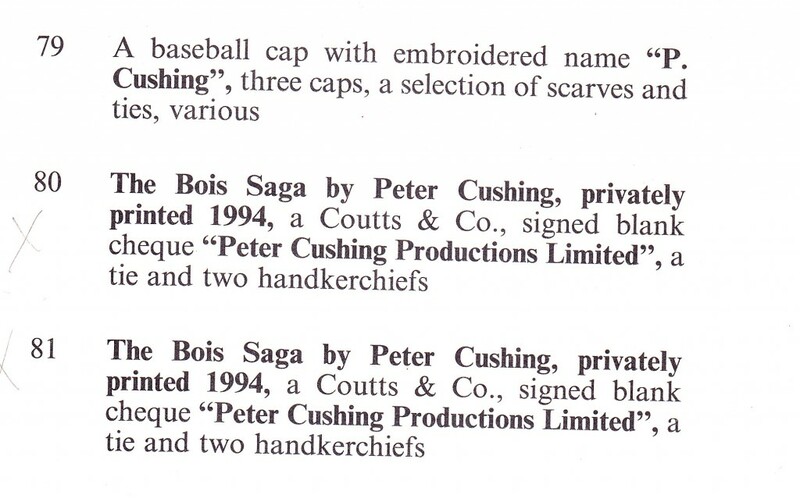 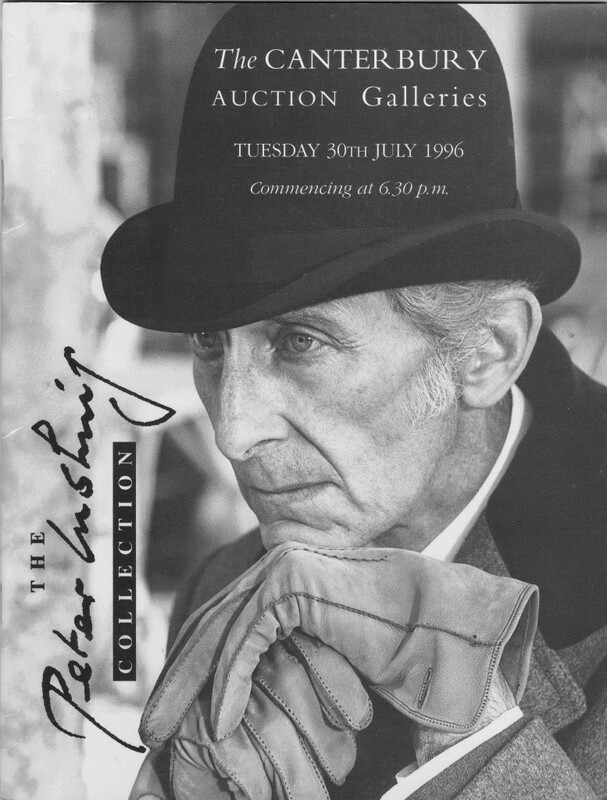 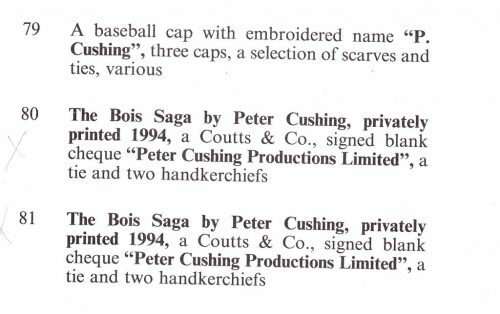 This auction sold items belonging to the late PETER CUSHING (1913 – 1994), removed from his home in Whitstable, Kent. 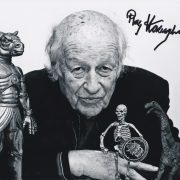 Mr. Cushing appeared in THE CURSE OF FRANKENSTEIN (Hammer 1957), DRACULA (Hammer 1958), STAR WARS (1977) and in MANY other movies. 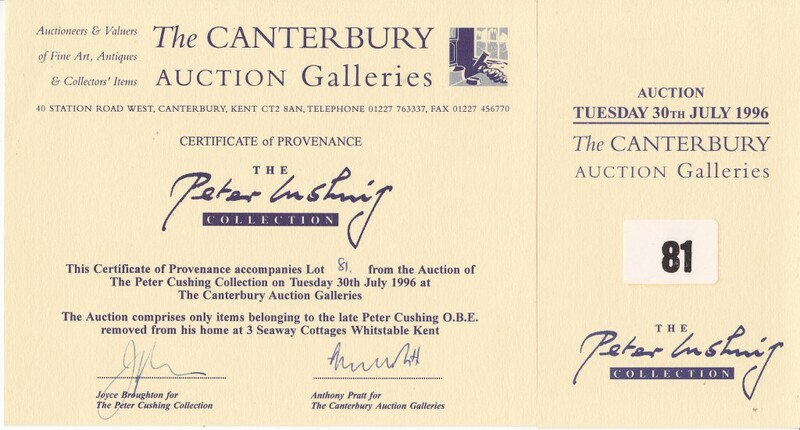 PHOTOCOPIES of the Certificate of Provenance (lot 81) + a page of the auction’s catalog will be sent with this item.